If you're a sysadmin who has to deal with cracker attemps for DoS (Denial of Service) on single or multiple servers (clustered CDN or standalone) Apache Webservers, nomatter whether working for some web hosting company or just running your private run home brew web server its very useful thing to inspect Web Server log file (in Apache HTTPD case that's access.log). Sometimes Web Server overloads and the follow up Danial of Service (DoS) affect is not caused by evil crackers (mistkenly often called hackers but by some data indexing Crawler Search Engine bots who are badly configured to aggressively crawl websites and hence causing high webserver loads flooding your servers with bad 404 or 400, 500 or other requests, just to give you an example of such obstructive bots. Just as I mentioned hackers word above I feel obliged to expose the badful lies the press and media spreading for years misconcepting in people's mind the word cracker (computer intruder) with a hacker, if you're one of those who mistakenly call security intruders hackers I recommend you read Dr. Richard Stallman's article On Hacking to get the proper understanding that hacker is an cheerful attitude of mind and spirit and a hacker could be anyone who has this kind of curious and playful mind out there. Very often hackers are computer professional, though many times they're skillful programmers, a hacker is tending to do things in a very undstandard and weird ways to make fun out of life but definitelely follow the rule of do no harm to the neighbor. Note that some of the listed crawler bots are actually a mirroring clients tools (wget) etc., they're also included in the list of server hammering bots because often websites are attempted to be mirrored by people who want to mirror content for the sake of good but perhaps these days more often mirror (duplicate) your content for the sake of stealing, this is called in Web language Content Stealing in SEO language. As you can conclude by the naming of some of the bots having them disabled would prevent your domain/s clients from Email harvesting Spiders and other not desired activities. After saying few words about SE bots and I think it it is fair to also mention here a number of commands, that helps the sysadmin to inspect Apache's access.log files. Inspecting the log files regularly is really useful as the number of malicious Spider Bots and the Cracker users tends to be raising with time, so having a good way to track the IPs that are stoning at your webserver and later prohibiting them softly to crawl either via robots.txt (not all of the Bots would respect that) or .htaccess file or as a last resort directly form firewall is really useful to know. You can combine above basic bash shell parser commands with the watch command to have a top like refresh statistics every few updated refreshing IP statistics of most active customers on your websites. Once you have the top connect IPs if you have a some IP connecting with lets say 8000-10000 thousand times in a really short interval of time 20-30 minues or so. Hence it is a good idea to investigate further where is this IP originating from and if it is some malicious Denial of Service, filter it out either in Firewall (with iptables rules) or ask your ISP or webhosting to do you a favour and drop all the incoming traffic from that IP. 176.9.50.244 – – [12/Sep/2017:07:42:13 +0300] "GET / HTTP/1.1" 403 371 "-" "Mozilla/5.0 (compatible; MegaIndex.ru/2.0; +http://megaindex.com/crawler)"
244.50.9.176.in-addr.arpa domain name pointer static.244.50.9.176.clients.your-server.de. 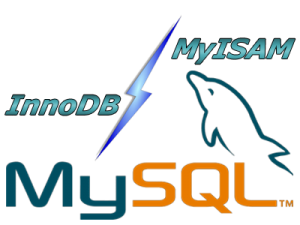 Though the accent of above article is Apache Webserver log analyzing, the given command examples can easily be recrafted to work properly on other Web Servers LigHTTPD, Nginx etc. Above commands are about to put a higher load to your server during execution, so on busy servers it is a better idea, to first go and synchronize the access.log files to another less loaded servers in most small and midsized companies this is being done by a periodic synchronization of the logs to the log server used usually only to store log various files and later used to do various analysis our run analyse software such as Awstats, Webalizer, Piwik, Go Access etc. Worthy to mention one great text console must have Apache tool that should be mentioned to analyze in real time for the lazy ones to type so much is Apache-top but those script will be not installed on most webhosting servers and VPS-es, so if you don't happen to own a self-hosted dedicated server / have webhosting company etc. – (have root admin access on server), but have an ordinary server account you can use above commands to get an overall picture of abusive webserver IPs. 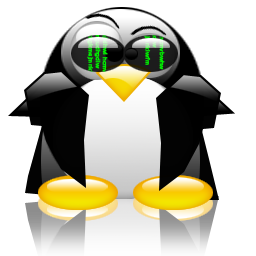 I've lost a whole day and was angry and irritated after moving (migrating) a Working Qmail installation in a binary form from a Debian Lenny 5.0 to a Debian 7.0 Wheezy Linux. The whole migration exercise was quite of a crazy move and I can tell you it didn't worth the effort as I lost much more time than even if I went on installing the server following Thibs Great Qmail Tutorial. I've also copied all the old binaries from /usr/local/lib from server1 to server2, some others from /usr/local/share and /usr/share as well as /usr/lib/courier /usr/lib/courier-authlib /usr/local/libexec /usr/local/sbin also had to link a couple of libraries such as /usr/lib/libcrypto* , link /usr/lib/libperl.so.5.10 to /usr/lib/libperl.so.5.14 and copy /usr/lib/libltdl.so.3 and few others which i don't exactly remember. drwxr-s— 6 qscand qscand 4096 Jul 21 23:07 .
drwxr-xr-x 4 root root 4096 Jul 20 21:17 .. I spend about 6 hours trying to catch what is causing this issues so finally I went on and re-installed bigger part of Qmail using Thibs tutorial over the old installation. Played around with permissions in /etc/clamav e.g. Then move the suid-wrapper produced binary into /usr/bin/suidperl e.g. Thanks God this time, it worked out without any QQ errors 🙂 ! For last 12 years of government Putin increated Russia's budget 22 times. Increated warfare spendings 30 times. Increated GDP 12 times (by GDP Russia moved from 36th to 6th place in the World). Increated Russian golden reserves 48 times. Russia's source for natural resources. Nationalized 65% of oil industry and 95% of gas industry. For a 5th consequential year 2nd / 3rd place in export of grain (just for a comparison USA is currently ranked 4th largest weed exporter). The avarage sallary of national institution employed increased 18.5 times. Avarage pension increased 14 times. Reduce of population decreased from 1.5 million per year in year 1999 to 21 000 in 2011, i.e. 71 times. Prohibited deputies in Government to have bank accounts in foreign banks.Prevented American attack against Syria. Put an end to war in Chechnya. In 1992 Eltsin cancelled completely export duty of oil products. In 23 January E. Primakov government forced again oil taxes. In export price of 9.5 dollars per barrel custom taxes were 2.5 euro per tone and in price 12,5 dollars per barrel 5 euro / tone.Such a minor increase in taxes produced 14 billion rubles in already empty Russian budget. In August 1999 Eltsin assigned Putin for prime minister. In just a month later the export taxes Putin increased duty taxes to 7.5 euro/tone and in 8 december to 15 euro/tone. Till then incomes from oil taxes has been steadily increasing and nowadays exporters calculate in national budget half of incomes origin from oil prices and export taxes. From January to November 2007 Russian customs influxed in national budget 2.57 trillion Rubles. Oil export takes has drastically raised incomes of citizens.This had major impact on construction business.All Russia nowadays is in reality enormous "construction yard", to illustrate from January to September 2007 375 009 homes were built occupying 34 million square meters. Cement factories cannot satisfy local market requirements and Russia is forced to import cement from China. Increased incomes of population led to increase in estates search, this increased apartment prices and as a consequence increased incomes from building activies. 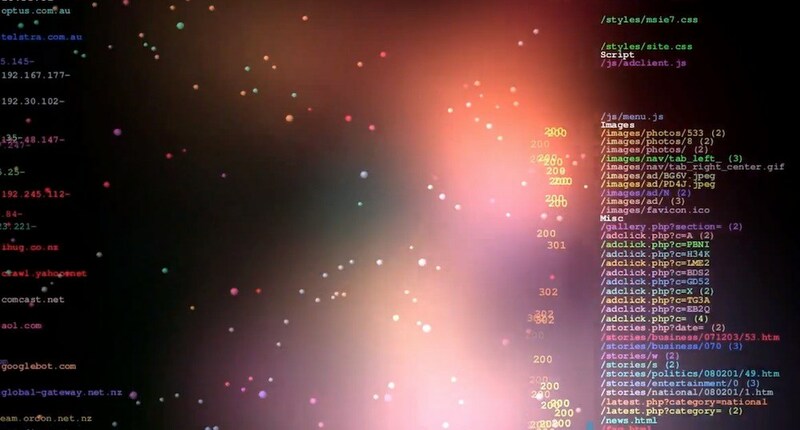 Result is in consutriction business are invested enormous amounts of capital and a real construction boom is observed. Another consequence of increased income was increase in demand for automobiles. Just for 2006 the quantity of demanded automobiles in Russia increased with 45% and reached 32 billion dollars with a count of sold new cars numbering 2 million. By indicator of sold new cars Russia orders on 5th place after in Europe taking place right after Germany, Great Britain, Italy and France. Currently are being build a couple of new automobile plants, and existing ones increase production volume. All this is consequence of increase in demand and therefore from increase in citizens income. rn>For 10 years budets expenditure for social politics (pensions and social help) increased with 30%. Before Putin pensions were under existence-minimum with appr. 25% and in 90th pensions were not paid at all. Now pensions are 50% above existence-minimum and is constantly increasing. In 2000 approximate sallary in Russia was 2223 Rubles (appr. 80 dollars). Now approximate sallary in Russia 19174 rubles (apprx. 660 dollars). Purchase of domestic goods for 10 years increased 10 times. Number of own automobilse increased 3 times. Putin nationalized YUKOS, without 'making nervous' emering Russian busness in a market manner – with bankruptcy and auction. All this happened lawful, following laws adopted by democratic parliament. The president doesn't have the right to use other means. Formal occasion for arest of Hodorkovski were taxation frauds of YUKOS. In such machinations are involved practically all large private companies and this is the reason why nobody believes that excuse. It is unbelievable. However Putin simply defended Russia's interests. The proof for that is transmission of actives of YUKOS to national corporation "Rosneft". It would have been more righteous if this actives were just confiscated … but there are laws and Putin had just stick to them. After all the President can't go out of framework of his jurisdiction. It can be just added that after Khodorkovsky was injailed, collectivity (incomes)of taxes of ex-actives of YUKOS increased 80 TIMES! In y. 2004 Putin finally removed law "Agreement for Separation of Production (Separation Agreement)". This law was annexed during Eltsin's regime, in order to benefit Oligarchs (Khodorkovsky, Gusinsky, Beresovsky etc.) in order to make possible Russian oil reserves to be possessed by Western (American and British) oil corporations. By the power of this law Russian oil and natural fields went into international jurisdiction, and therefore the money from Russian oil doesn't entered budget of Russia but influxed in Western companies. Money from oil drills went mainly into Dutch "Shell" for covering of corporation expenses. Only after something remained from that they sold it to Russia. In 2006 Putin declared following in that connection "And now we don't get anything from them and if they increase their profit we will not receive it even in 10 years from now." In fact to this moment Russia didn't get any money from their own oil. After the law was removed in 2004, revenues in budeg increased from 3 to 4 times. In 1992 – 1995 the head aparatus of Russia formed its view based on foreign advisors. All legislation from 1990's was hence written by them. In Russian country administration was working 10 000 foreign coaches. 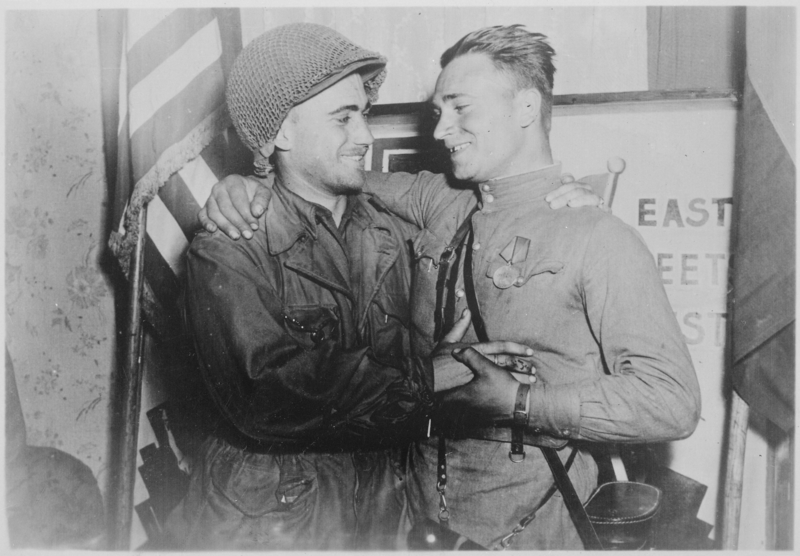 George Soros was financing writting of student history books where the Battle for Stalingrad was mentioned in only 2 pages and about the meeting between Elbe and Soviet and American soldiers (Elbe Day) in 10 pages. : In that mournful times on pupils notebook you can see portrainst of 4 American presidents of USA. Until this very day there are left relics from that anti-Russian propaganda but hopefully with time Putin will throw away american propaganda from education system. But why Putin cannot immediately dismiss all this hostile to Russia clerks? The reason is simple: Constitution of Russia written under dictation of Western coaches, does not allow quick changse into it. Nowadays the President is just one of many clerks with resticted power. Yes truly president power is a bit bigger than other clerks, but country head can't influence everything. The president can't even define his ministers, even though by law this is part of his jurisdiction. Overfulfilment of budet in times of Putin govern allowed craetion of country Stabilization fund. Nowdays is collected huge golden-currency reserve and practically Russia doesn't have external debt. War in Kavkaz is over, separatists were destroyed. All famous terrorist leaders were liquidated physically. Even Zelimkhan_Yandarbiyev was killed in Qatar, Basaev and Umarov were also destoyed. Putin promised "to drawn them if necessary even in their own toilet dish" and he fulfilled his promise. Of course, separatism is not completely destroyed, such conflicts cannot be quickly solved, but nowadays situation in Kakvaz is the best possible. If Chechnya's elite feels the power of Moscow and benefits of being a surrender – then separatism will fade away. This is exactly what happens. The attempts of western spy centrals to supply terrorists are still leading to separate terr. acts but this is the maximum – there will be no war anymore. 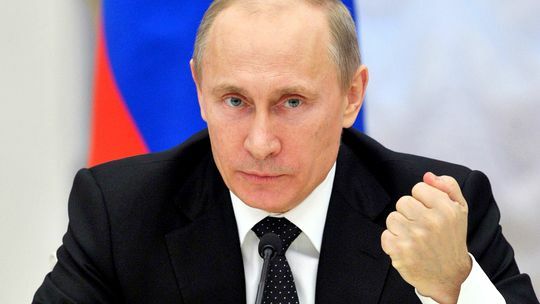 For 10 years Putin increased political influence of Russia in world and lifted its image. Today Russia follows its own interests, and not Western ones. 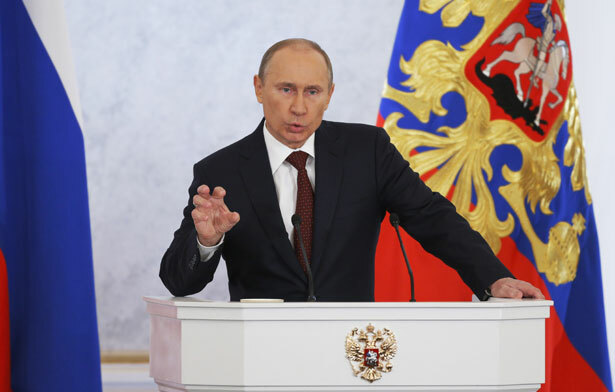 It is not coincidence that Putin was recognized as the most influential world politic of 2013. He prevented Russia's devastation led country out of catastrophe caused by Gorbachov and Eltsin. That's the rason why Western Medias abhor him and compare him with devil. Everyone interested in political life in Russia seems, that the battle against corruption took unforeseen measures. At least 2-3 times weekly on TV are shown arrests of clergy and policeman and news inform about sentences against government employees. Lets not forget Crimea, here is how it was given to Ukraine. "Borya if you like take Crimea, please just sign the contract!". "What for I need Crimea? Here it is your present!" Few days ago Putin removed consequences of this "joke with history" – and people of Crimea sung and danced on squares, returning to their motherland. Here is Why Russophobes hates Putin! If you still haven't tried WPTouch give it a try. 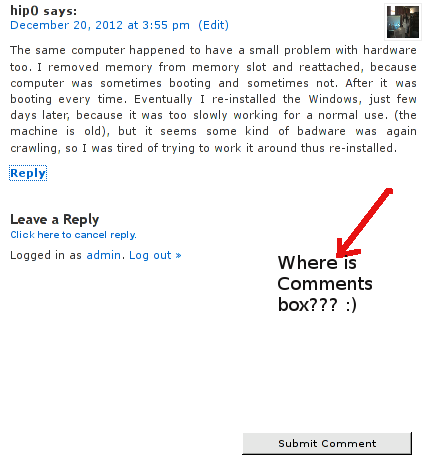 Earlier I've blogged how to fix NULL error appearing in comments box, when someone tries to comment in WordPress (Comments) section. As you can read from my previous post the whole issue, was caused by wordpress-threaded-comments plugin which as of time of writing this post is incompatible with modern WordPress versions. Recently one of my blog readers Jem, reported the same NULL comments issue happens again in my WordPress (thanks for that Jem). 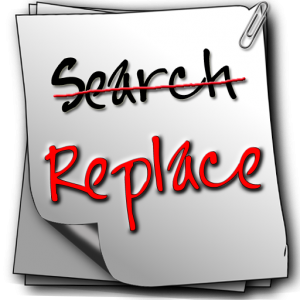 Over the last 2-3 months I didn't added or removed plugins from my wp blog, so I excluded the possibility that the error, might be due to Enabling new plugins. Since I only blogged in those 2-3 months it was completely, incomprehensible for me why this NULL comments err happens again? I pushed forward, to look for what is causing, the strange occurance since it is not directly caused by some conflict with my installed FCKEditor (latest stable version). Checked if I can find something on the internet, but for my amazement the first result I found in Google was actually, my own previous article on Fixing NULL Comments box error 🙂 The rest of the threads, I've saw were not so helpful. So finally I've got the idea to check in the Source Code (CTRL + U) of the returned page with the empty form box. Guess what I found there, a reference to TinyMCE Advanced WordPress editor. I've remembered some, very long time ago. When I started experimenting with WordPress plugins and still was new to wordpress, I've used TinyMCE instead of FCKEDitor which later started using as a substitute for TinyMCE, cause finding it to be more advanced and hence more useful. 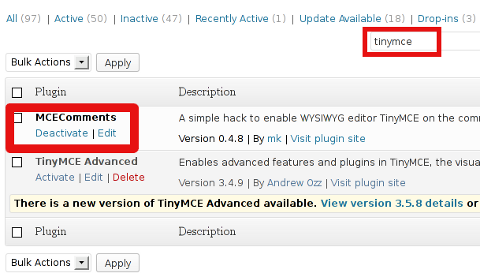 Back in the time when I was still using TinyMCE, I found a little TinyMCE addon plugin called TinyMCEComments, the function of TinyMCEComments, was to add the TinyMCEComments originally available inside snf only to wordpress logged in Administrator user to the non-registered subscribed users (e.g. 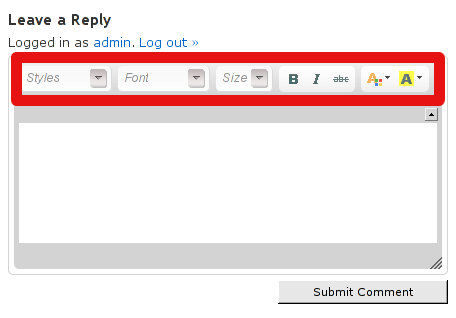 beautify user comments box with allowing them to easily make comments text bold and Italic etc.). Forgot to disable the little extension plugin TinyMCEComments addon to TinyMCE editor!! Henceforth, the NULL fix is to Deactivate MCEComments.